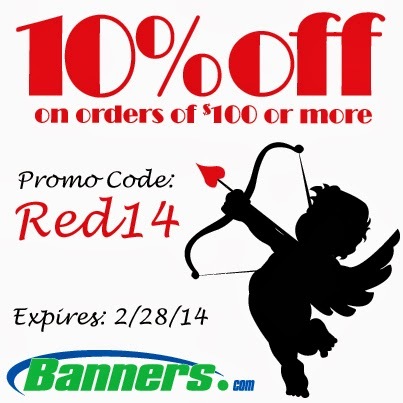 Happy Valentine's Day from Banners.com! You can get 10% off all orders of $100 or more through February 28, 2014. Just mention promo code "Red14" when you place your order. Click here for more information about the 10% off special and to get started on your order.